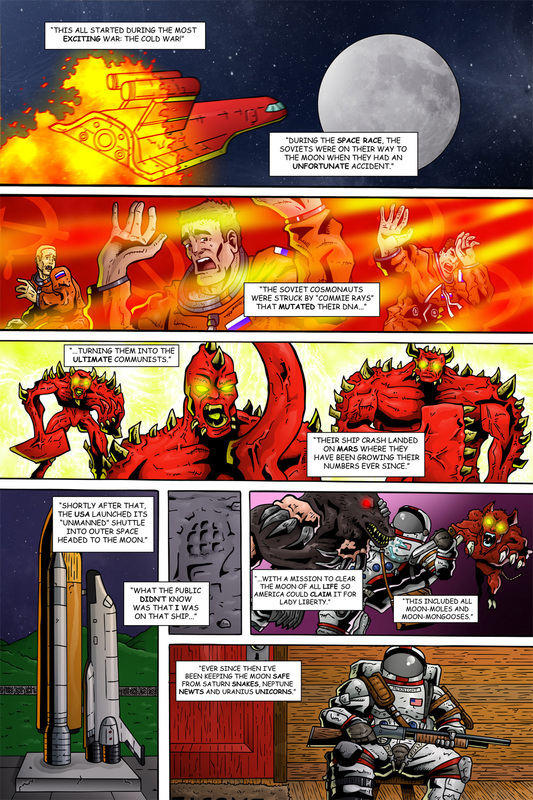 Today’s page of Team Stryker is a very important one as we get to learn the origins of the Space Commies. One thing I try to do before I start making the issue is to make sure that I have the origins and backgrounds of all the characters fleshed out. It makes finding their motivations much easier and makes writing them much more natural. I was the history in Team Stryker to play off real world events to give it some depth but I never want to be constrained by it. If I know I’m going to be referencing something in history I’ll do research on that event to see if it suits my purpose. If I can use it I will, but if it doesn’t fit then I won’t force it. Have a great start to the week and don’t forget to share Team Stryker on Facebook and Twitter!